We have over 500 verified merchants. 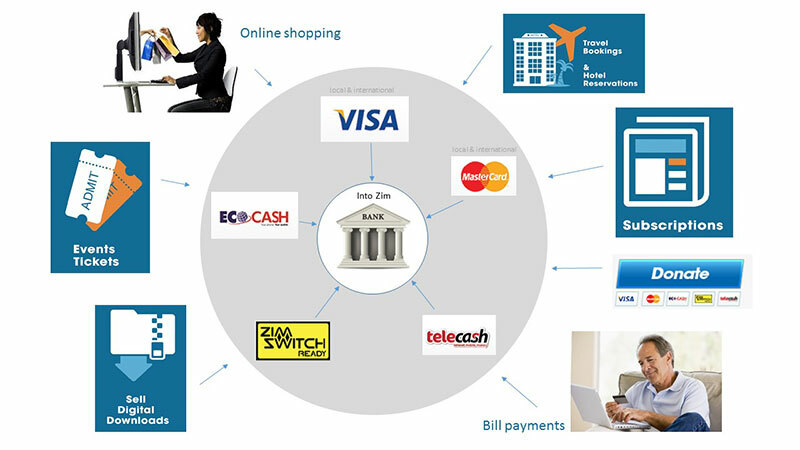 The diagram below demonstrates the various ways that people can pay you through Paynow. Your clients will have the option to pay you using either Visa and MasterCard (local and international), Zimswitch, Ecocash or Telecash. Visit www.paynow.co.zw to find out more.